Perfecting your craft doesn’t come easy, but dedication pays off. At Makeready Libations and Liberation, we rally around the spirit of those who aren’t afraid to get their hands dirty. We serve as a breakroom for ladies and gentlemen in need of a friendly face after a hard day’s work. Our food offerings center around a seasonal approach to American tavern food. 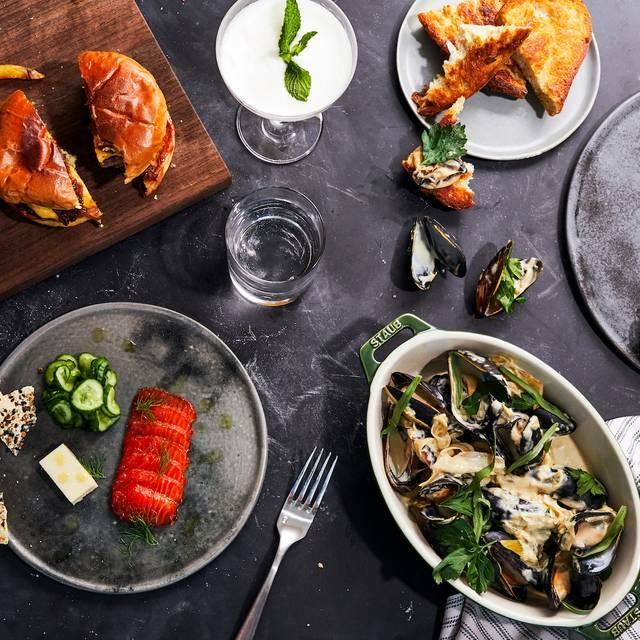 Our commitment to local partnerships and heritage products will help provide future guests with a unique yet comforting dining experience. 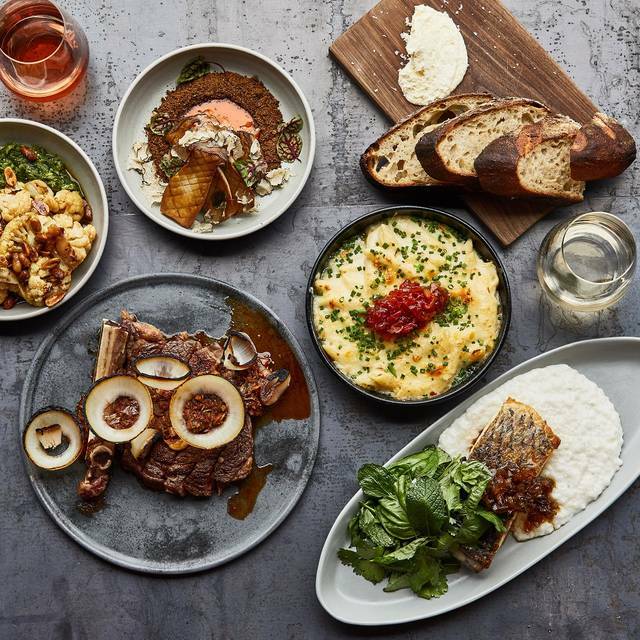 We take a seasonal approach to American tavern food, with a hearty selection that includes rotisserie fired meats, a cheeseburger that’s worth writing home about, and an elevated meat and three. The beverage program ensures the experience is authentic. The offerings include a diverse craft beer list that would satisfy the masses. The cocktail selections center around a blend of the classic and contemporary. Why limit happy to an hour? Introducing our new happy hour from 3-5 pm daily! Grab a seat at the bar and enjoy $3 beer, $4 well drinks, $5 wine & $5 food specials. Make Mother’s Day extra special with Sunday Brunch at Makeready. Moms will enjoy a complimentary mimosa & sweet treat served along with ala carte menu favorites from fresh avocado toast to hot chicken & waffles. As always, Mimosas & Bloody Mary’s are just $5 because what is brunch without libations? Join us for Easter Brunch on April 21 and enjoy a complimentary sticky bun along with our regular ala carte menu favorites like fresh avocado toast or hot chicken & waffles. Then wash it all down with $5 Mimosas & Bloody Mary’s because what is brunch without libations? Reservations recommended. Food was delicious!! 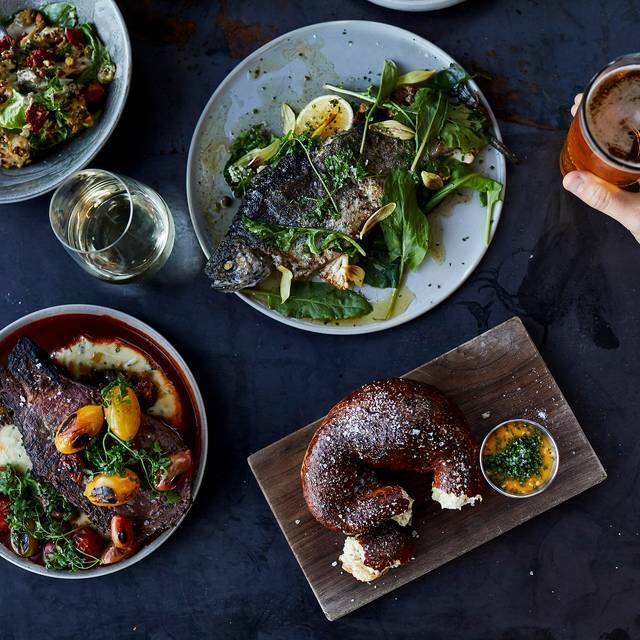 From shared appetizers (deviled eggs, beef tartare and Bavarian pretzel) to our dinners (schnitzel, yard bird, fettuccine bolognese and steak). Drinks were good and spacing at the table was generous...no cramming everyone in! Will definitely be back! My experience was not very pleasant. i dont usually write a review but the meal was very sub par for the price. The steak was very bland and over cooked for medium. All the sides were completely flavorless, no seasoning at all. I asked for a side salad and got a plain plate of ice burg lettuce...that's it. And my dinner guests meal was just as bland. Great ambiance and good service otherwise, just need to improve the kitchen. Traveling on business, one often has to eat alone and just as often wants to enjoy a relaxing experience. Makeready was a perfect choice. The food was very good, the wine my server suggested was excellent. All in all a very pleasant dinner. Thank you so much for taking the time to review us! Makeready strives to be inviting to both large groups and the lone diner. We're so glad you enjoyed your meal (adding wine is the perfect relaxation tool) and can't wait to serve you again. Please come back soon! We loved Makeready form start to finish. I would have given all 5 stars if the value had been better, but it’s near Music City Center, Bridgestone Arena and the Nashville music scene, so everything is overpriced. A single Kind bar that sells for $1.79 in Cleveland was $5.78 at our hotel. 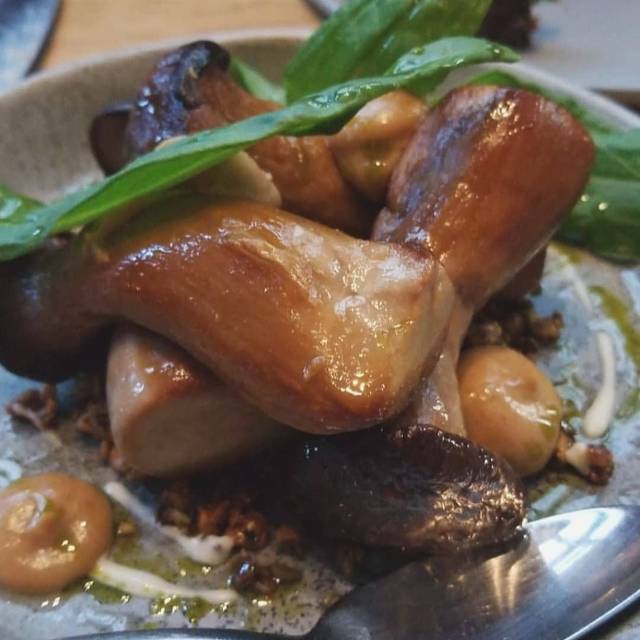 While the Kind bar situation felt like extortion, Makeready made me feel like I was supporting an artfully talented crew in the kitchen fronted by a great personality and intuition in our server all while dining in a place where we could talk, relax, and feel like some of the cool kids. The steaks, lamb, ham board, and mac and cheese were unique, flavorful and memorable, making overpriced feel like an oh-what-the-hell kind of vacation dinner. Suze, thank you for taking the time to review us! Makeready is a special sanctuary for those in search of a good meal, good atmosphere, and great service. We live for those oh-what-the-hell moments and are so happy you were able to share it with us. Please come back anytime, we'd love to serve you again! Food was sub-par, service just ok. Not a good value. Plenty of better options nearby. Service and atmosphere were great. All four meals and apps were definitely lacking from presentation to taste. My party of 4 did not find one item on our $350 bill that we would recommend. However, I would visit for a happy hour or drinks. The service was great. Another meal would be out of the question. Admittedly we haven’t been in a while, but we’ve raved about it to anyone who was looking for a place to eat near Broadway. We fully expected the same amazing, unusual but delicious food when we were finally able to return only to discover the menu had changed. There truly wasn’t one thing either one of us was interested in ordering. Maybe personal taste but we had hoped to repeat our last experience. Unfortunately we won’t be back and we’re very sad it wasn’t near what it was. Thank you for your review! Makeready always appreciates diner feedback, as it's the best way our company is capable of honest growth. Our menus change with the seasons so our offerings can always be fresh and new. We are very thankful for your support and hope to see you soon. Great local beer, wonderful friendly service and amazing food. Very cool vibe as well. Christy, thank you for taking the time to review us! You've hit the three pillars Makeready builds its foundation on: sincere service, fabulous food, and an enticing environment. Please come back soon, we can't wait to host you again! Great casual atmosphere for lunch. Reasonable prices. Great menu options. Thank you for your review, Tim! Makeready is ready to make its mark on downtown Nashville as an appealing homestead for the business chic, sleepy rebels, and hungover crowd alike. Please come back anytime - but if you're in town for happy hour, we've got $5 burgers and $4 well drinks. Thank you again for dining with us. Overall, the experience was nice. The food was good, but not necessarily worth the price. The atmosphere was pleasant. The service was excellent. I will share the valet service was horrible. We waited in line for 15-20 minutes because an unattended vehicle was sitting in the valet spot. No one would come out. When we left, it took another 15-20 minutes to retrieve our car. We had a large variety of the small plates and sides. All of them were very tasty. Very filling. Great drinks and service. We also visited the Hidden Bar and enjoyed the drinks and atmosphere. As a local, I would say it is worth the trip downtown. Elizabeth, thank you for your review! It's hard to convince locals to make downtown a priority - parking is such a pain (but we validate parking if you park with Noelle)! Thank you so much for dining with us, please come back anytime - brunch is served all weekend from 7 to 3 with $5 mimosas! 5-6 tables for Sunday brunch, we were a party of four. The food was poorly prepared, basics like eggs were over cooked, hot chicken is inedible (and we are fans of spice) and regardless, a poor preparation of pink-tinged chewy thigh meat (the manager told us they use a thigh cutlet). She’ll in scrambled eggs. Pastries were delightful! Ambiance was great and location is convenient if staying downtown. Big bummer that food was not tasty and $18 for 2 over easy eggs (prepared medium), potatoes, bacon and toast. Service was prompt and gracious. Wanted to love but wouldn’t recommend. First the good, great atmosphere in a good location. Creative both food and drink menu. We had the ham board app and it was fantastic. The pork schnitzel entree was very good. Now the not so good, we had a server with no personality and my steak was very under cooked to the temperature that I ordered. The restaurant made the steak issue right by taking off our bill, but the final straw was the server never even offering to show us the dessert or after dinner drinks menu. Huge promise at this place and I might even try it again, but overall a C-. The food was mediocre and served lukewarm/cold. At the prices charged, I would definitely skip this place. I will say that our server was good - she was attentive during a very busy evening. I would call this restaurant SLOLIDLY solid. Nothing we had approached "best we have ever had", but everything that we had was very good. Every bite. Saying that makes it seem like I am somehow knocking it? I am NOT. It was top to bottom and bite to bite as good as any meal we have had in a while. 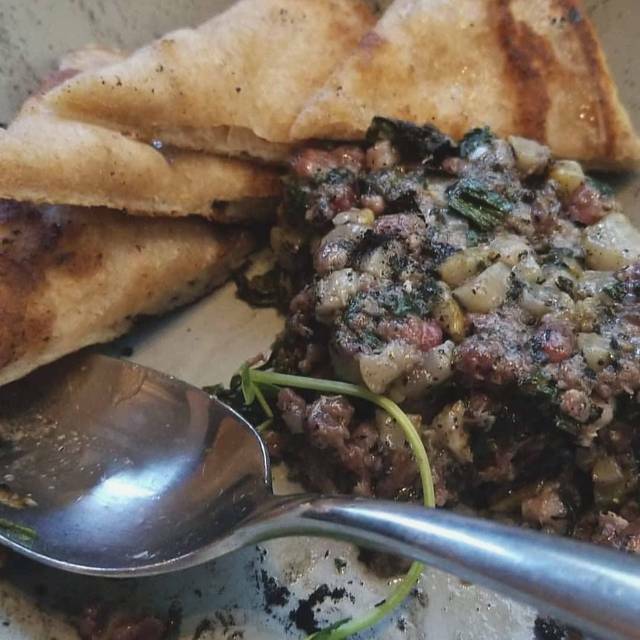 Curiously, the standout was the naan/pita hybrid bread served with the beef tartare. Really spectacular. I normally list irritants at this point but there were none. Service was great. Ambiance was great. Total price (for more food than we could eat) was very reasonable. Noise level low. Other diners seemed happy. We will be back to this hidden gem of a solidly very good place. Thank you so much for taking the time to review us! Dinner is an important, decadent meal, designed to tickle the fancy and enhance the senses. We're so glad you enjoyed the very first bite down to the very last. Our flatbread (naan/pita hybrid) is made in house by our exceptionally skilled chefs. While Makeready desires a solid place in the Nashville scene, we'll stand by our ability to maintain a "hidden gem" status. Thank you for dining with us! We hope to host you again soon. Excellent from start to finish. Great menu. Great food. Awesome service. Thank you so much for taking the time to review us! Makeready lives for three principles: superior service, fantastic food, and an appealing atmosphere. We are a three meal restaurant, so come back and try us again! We're so glad we were able to host you, thank you for dining with us. The server pushed the Elk, I was disappointed in my portion, especially when I saw another patron with the same plate with literally twice the amount. Everything else was good, but would steer clear of the Elk. Restaurant and bar in lower level of boutique Noelle Hotel in downtown within walking distance of Bridgestone Arena and the honky tonks on Broadway. Good place to get away and treat yourself to a pleasant meal. Artful, semi-industrial decor (industrial chic). Creative menu focusing on local suppliers. "Meat and three" special changes daily(?) and is not your dad's meatloaf and mashed potatoes. Modest (small) wine list but we found something we liked. Nice service both at bar and tableside. Charles, thank you so much for taking the time to review us! 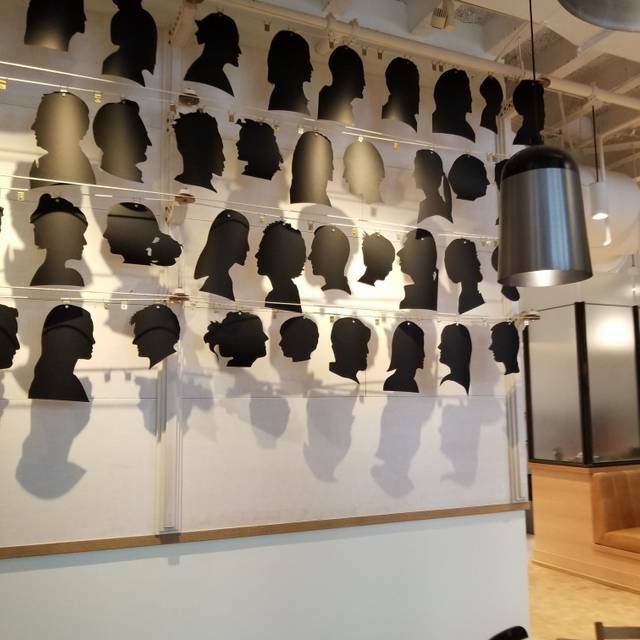 Makeready has found a home in Downtown Nashville, serving do-gooders and do-badders alike (which one are you?). As our meat and three does change daily, it's highly recommended that you come back and try another! Thank you once more for dining with us, we can't wait to host you again! Kelsey, our server, was superb on all levels, and the caramelized onions on my burger were so sweet and unexpected. We were just in town for the weekend, but know we’ll be back. Joyce, thank you so much for taking the time to review us! Our service and our food (especially the burger!) are what we excel in; we're so glad Kelsey was able to serve you, she's what makes Makeready truly special. Please come back anytime, we'd love to host you again. We stopped in at Makeready before a show at TPac, the yard bird was so dang good! Thank you for taking the time to review us! Dinner and a show sounds like the perfect way to spend a Nashville night and we're so happy you chose Makeready. Please come back anytime! Service was great. The staff accommodated our request of breakfast/lunch choice at our 10:45 seating. Bloody Mary was tops!!! Avocado toast with egg was very good. Hot chicken sandwich had a sweet heat; a delayed spicy and very good. Chicken pot pie was delicious. A place I would eat again. Very good! Nancy, thank you so much for taking the time to review us! On Saturday and Sunday we offer brunch from seven am to three pm with not only the avocado toast, hot chicken sandwich (and hot chicken and waffles! ), but FIVE DOLLAR bloody mary's and mimosas! It's the perfect menu when you want eggs and fries. Please come by any time, we'd love to serve you again! Chip, thank you for your review! Come on back any time, we'd love to serve you again! Food was less than stellar, at downtown prices. Not a ton of flavor, which was disappointing. Popped in for a quick business lunch. Place was steady and the buzz seemed decent. This is our go to spot and it never disappoints. Another great meal at MR.
Tony, thank you for taking the time to review us! In order to truly embody the Nashville spirit, Makeready is inclusive of all scenes, be it business, casual chic, or bachelor/ette. Our goal is to constantly provide a consistently marvelous meal, stellar service, and a warm, enthusiastic environment. We're so happy to be your go-to. Please come back any time, we can't wait to serve you again! Thank you so much for your review! Eating hearty is a Nashville to-do! We're so happy we were able to provide you a delicious meal and a convenient bite. Please come back anytime! Everything was great! Had the deviled eggs, country ham, oysters, steak, elk chop and butternut squash. Chad, thank you for reviewing us! You made multiple fantastic menu choices. Makeready works to give our guests the freshest, most local, and most delicious meals in Nashville. Our menu rotates seasonally, so please come back any time. We can't wait to host you again. Service was great and food was as described on menu. It came out quickly and warm. Very Delicious! Waitress provided excellent service. Restaurant was clean as well as restrooms. Would dine here again! Christy, thank you so much for reviewing us! We believe in three things: excellent service, warm and quick food (unless you order a cold dish - then cold and quick food) that is filling, local, and homey, and a clean, welcoming space to east, sit, or chat in. We're so happy we were able to provide these things for you. Please come back any time! Nice quaint atmosphere. The Country Ham sampler was great. We loved Makeready! Food was awesome and service was even better. Love that there's a great food spot in the middle of downtown Nashville. We plan on returning regularly! Came for brunch. Slower service in my opinion but great food. Shared the BLT and the spicy chicken and waffles. The BEST French fries are here! And homemade ranch! Not impressed. The rooftop bar at Noelle is very cool but this restaurant lacked. No one in our party was impressed with the food. Nashville has lots of options so there is no need to return. Atmosphere wasn’t the best either. The bathrooms were cool though! Including tip, we paid a total of about $60 for two people. Considering the fact that we’ve been many places and paid much more money, this immediately becaome one of our favorites. 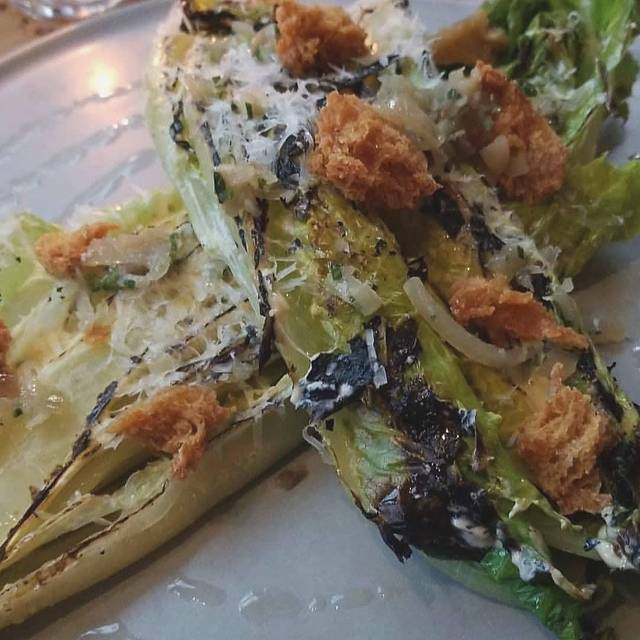 Every dish was impressive and we can’t wait to go back and try something different! Thank you for your review, Dalton! 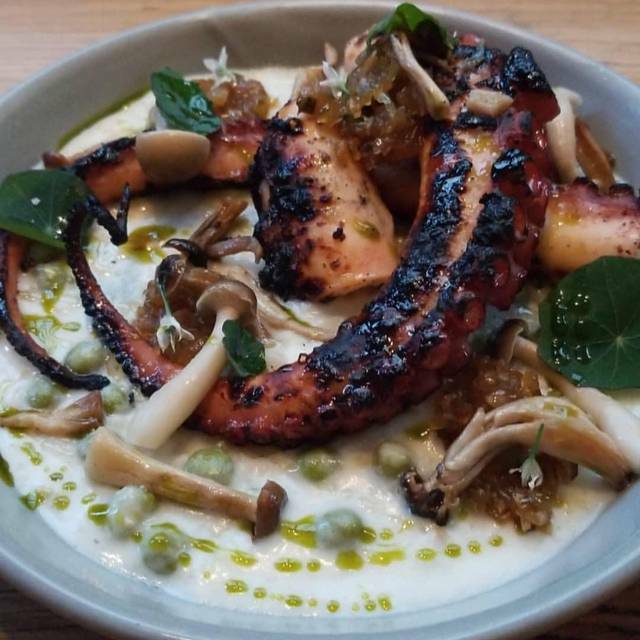 Makeready exists inside the Nashville scene as a beacon of light to those who enjoy a quiet, delicious meal, but have little desire to break the bank. We are your refuge for classic cocktails, creative fare, and unpretentious service. Please come back soon, we're so glad to serve you. Fettuccine was amazing. Old Fashioned delicious. The deviled eggs were okay. Service was great. Kristi, thank you for your review! The fettuccine is a house-made staple and an excellent, light dish that leaves room for dessert - a wonderful choice! We're happy to serve you good food, traditional drinks, with a warm smile. Please come back soon, we'd love to host you again. Love this place! Great food, great service, and cool vibe. Been in before and will be back again. Thank you so much for taking the time to review us! 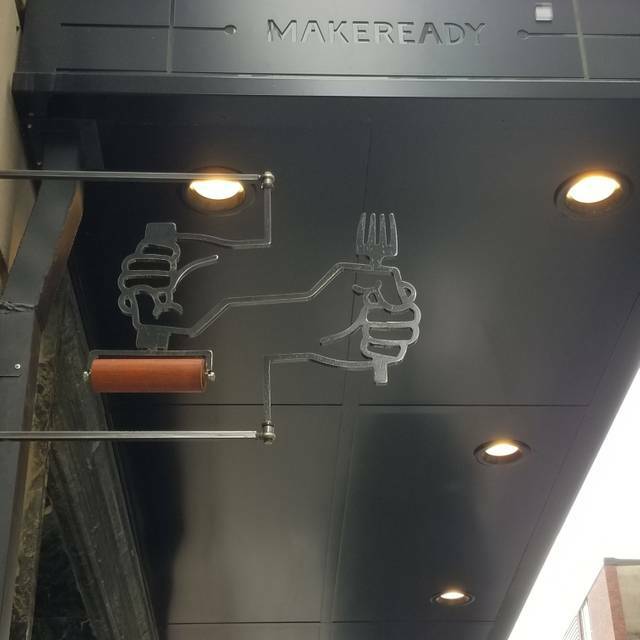 Makeready builds on three pillars: excellent service, delicious food, and a warm, inviting atmosphere - we're so happy we were able to show you all three. Please come back anytime! We can't wait to serve you again. Tony, thank you for your review! You made some excellent choices - our burger and steak ARE great! Please come back soon, our taps rotate quickly! (Or have our cicerone make a canned/bottled selection based on your preferred tastes.) Thank you for dining with us, we hope to see you soon. I felt like I was in a cafeteria at a senior living facility. They were 'understaffed', so there were some interesting exchanges between host / servers that should have gone on behind closed doors. Brunch menu is really small and a tad overpriced. I will say the hot chicken sandwich was awesome. So were the home fries. Food was the best part - atmosphere is just seriously lacking. Not where I want to go in Downtown Nashville. I like the casual atmosphere, the menu isn't overwhelming. Nice variety of things to share. We had roasted oysters, Bavarian pretzel, and the Country ham, all yum! Entrees, 2 elk and 2 L&L burgers. All very tasty. Our server was Peter and he went above and beyond to make sure we had an exceptional evening. Shel, thank you so much for reviewing us. Peter is a wonderful server who's been with us since day one; if he recommended the pretzel, good call! We're so glad you enjoyed your meal. Thank you for dining with us, we can't wait to serve you again. Was popping around downtown and stopped in for a bite. Easy to grab a res, restaurant was moderately busy, service was great, food was awesome. Cheese board to start off, pot pie, pasta, and chicken to go for dinner. All were pleased! Thank you so much for taking the time to review us! At Makeready, we are at the mercy of the guest experience. Our food must be cleansing, healing, must go beyond the norm of "hotel restaurant". The service must be available for every whim and fancy, ready with a smile and vanishing when undesired. We're happy we were able to serve you, glad you enjoyed your meal, and can't wait to host you again! Thank you. I went on a double date here and do not recommend going. The waitress was not friendly and rushed us through our meal. The food was mediocre and the menu was not cohesive. The only thing that we enjoyed were the cocktails which were very well made.